When I look back today at my encounter with the Israeli-Palestinian conflict, I think that most of my childhood was sterile in a sense: I saw Palestinians in the Old City market and in the news, or from time to time as a construction worker, renovating a house. However, over the years there have been several points at which the conflict broke into my peaceful life: attacks that took place in Jerusalem, and acquaintance with friends who knew grief more intimately. Being drafted to the army was, for me, a stage that placed me far more directly in the face of the conflict. The characters you see on television become the people I arrested, and almost every night I found myself arresting people in Nablus, Jenin, and the surrounding areas. Our routine was always the same. We operated at night, almost every night, and then sleep in the morning. By noon we received a new order about a guy who had to be arrested and removed from his house. Almost every night the story was similar; and the general feeling was that I was doing something that could save my family at home. During our training, my commander told us that we would inevitably face a war during our time of service. At the time I was surprised, but (of course) his words came to fruition and our unit was sent to Lebanon. In reality war is nothing like the romantic image we see in the movies. It was hot and loud, our equipment was heavy and painful, and we were drenched in sweat and fear. After seven days two members of our unit were shot. One was killed. I remember his funeral vividly. He was one of my best friends in the world, yet I cried for myself, more than I cried for him. I remember thinking: ’48, ’67, ’73, first intifada, second intifada. I realized that I would face war again and again, first now as a soldier and then later in the reserves. If we didn’t stop this cycle, my children, and their children, would be facing war every few years. If I try to put my finger on an event that cracked something in me, I think it was one of the operations we did in the Nablus area. During the operation, as usual, our team broke into a family’s home to make an arrest. While the snipers settled in front of the windows, my job was to guard the family. It must have been around 4am, and I was standing with a gun and a helmet on my head, in front of a petrified family in their pajamas. In that moment, one of the little children wet his pants. It was the kind of moment that everyone prefers not to be present in: neither I, nor the parents, nor the child who was too old to wet his pants… but the terror of seeing us, of seeing me, threw him off balance. On the way back to the base that night I thought a bit about this boy, and who he would grow up to be. I could not help but think about this endless cycle of violence, and about the boy who would inevitably want to take revenge, and my son who might be on his way to arrest him in a few years. 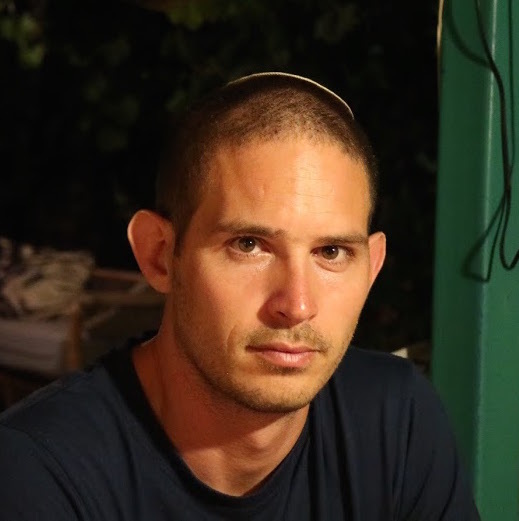 It’s been a decade since I finished my service and that boy is probably 18 now – I see his face every time I meet with a group of young Israelis who come on a tour with CfP and are a moment before their conscription.